Join us as we game for a good cause. Hey guys, whatcha playing? A bunch of us are participating in 8-Bit Salute starting tomorrow, so make sure to check out our streams this weekend and pitch in for our troops! 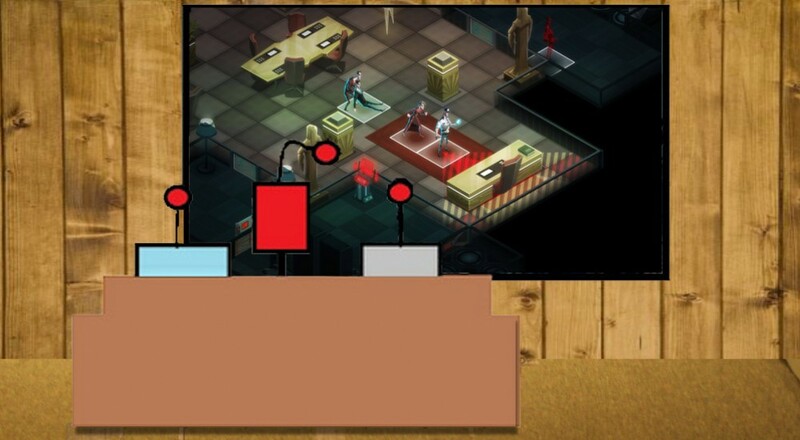 Nick Puleo (@NickPuleo) - "I'm digging into Invisible, Inc. on Steam." Danny Cowan (@db_cowan) - "Bloodstained has got me hyped up for a new Igavania, so I'm playing through Order of Ecclesia for the first time. It's pretty fun so far!" Mike Katsufrakis (@Pheriannath) - "I'll be hopping into the 8-bit Salute stream for a bit, playing more Invisible, Inc. and some Boxboy on my 3DS. " Andrew Gaskill (@cubninja) - "I'll be drifting through Lost Orbit, sawing fools in Bloodborne, brutalizing chumps in Mortal Kombat X, and watching Mad Max. Again." Marc Allie (@DjinniMan) - "Monthly D&D group meeting tomorrow, so I will be leading my players through an ancient snakeman temple where an imprisoned angel awaits." Jason Love (@JLove55) - "I guess I'll be checking out this Invisible, Inc everyone's talking about, maybe diving into the backlog some as well." Eric Murphy (@smurph_em) - "8-Bit Salute is tomorrow, so I'll be gaming for the troops! Our stream will be on the front page. Please support our team and donate!" Locke Vincent (@LockeVincent) - "Dat Invisible Inc. yo." Tally Callahan - "A lot of writing with a bit of board gaming and Blackguards. Also, psyching myself up about the upcoming Witcher 3!" Sam Tyler (@thereelsamtyler) - "I picked up AirMech Arena for free and am enjoying it so far. Going to check out the co-op mode this weekend." Chris Metz (@The_Lemko) - "The Binding of Isaac will be on my mind." John Bardinelli (@itsamejohn) - "Charging through Axiom Verge like nobody's business!" Enoch Starnes (@enochstarnes) - "I'll spend some time whackin' fools in Shovel Knight, but my true fate lies somewhere under a flagon of beer at the local Renaissance Festival." Taylor Killian - "I'll be ramping up my "murder everyone for their own good" quote in Dragon Age: Inquisition." Page created in 0.6314 seconds.